Overweight people who undergo weight loss surgery could be more likely to attempt suicide as compared to those who adopt other modes to lose the excess pounds, notes a latest study.The Swedish study emphasized on the need of thorough pre-surgery mental health assessments of bariatric patients. The study also reinforced that they must be provided with information about the risk of self-harm associated with the procedure and long term follow-up. The researchers also said that they are sure that the benefits of bariatric surgery, including lower mortality, outweigh our finding of an increased risk of suicide and self-harm. But the findings cannot be ignored either. Obesity is a disorder involving excessive body fat that increases the risk of health problems. 1.9 billion adults around the world are overweight or obese, according to the World Health Organization. Obesity has been tied with problems like heart disease, diabetes and joint disorders. For the study, one registry included 2,101 obese patients who underwent bariatric surgery and a control group of 2,037 obese people who received only usual care, such as education on healthy eating and exercise habits. Half of the patients were followed for atleast 18 years in this registry. In the follow up it was revealed that 87 people who had surgery died by suicide or tried to harm themselves, compared with 49 individuals who didn't get bariatric procedures. 20,256 obese patients who had bariatric surgery and a control group of 16,162 people who were treated with intensive lifestyle modifications were part of a second registry.The second registry followed half of the patients for almost four years or more. The findings revealed 341 people who had surgery and 84 people who didn't die by suicide or tried to harm themselves. Patients who misused drugs and alcohol were more likely to kill or harm themselves. But in the first registry, surgery patients were also more likely to have a history of self-harm, as compared to people who didn't undergo the surgery. The researchers clarified that the study wasn't a controlled experiment designed to prove whether or how bariatric surgery might directly impact the odds that patients attempt suicide or try to harm themselves. Also, none of the patients included in the registries had a newer and increasingly more cmmon type of bariatric surgery known as a sleeve gastrectomy, which is less invasive. Which means that the results may not reflect what would happen with people getting surgery today. While the causal relationship between weight losss surgery and suicide needs to be examined inj detail. 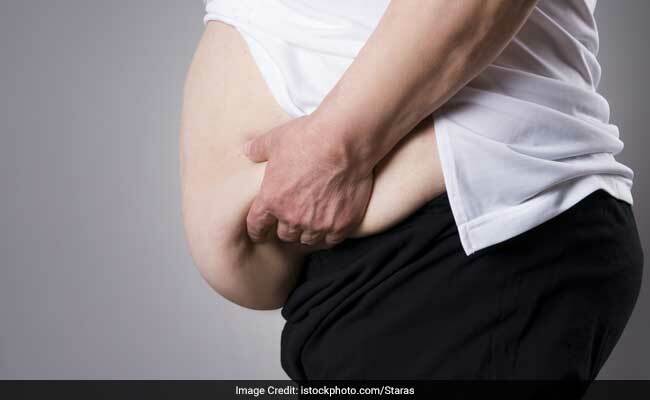 One possibility could be some people might have dissatisfaction with their amount of weight loss or the appearance of loose flaps of skin that accompany dramatic weight loss, the researchers noted. Surgical weight loss may also alter the way the body absorbs nutrients and medications, which may in turn make them contemplate suicide. However, the benefits of surgery still outweigh this risk. And it is still one of the most effective way to treat severe obesity noted the researchers. Obesity may have become a common health problem in the current scenario; there are ways through which you can cut down on that extra fat. Apart from 30 minutes of regular exercising, you should include these eating habits in your daily diet. 1. Eat small and frequent meals at regular intervals. However, make sure that your quantity is limited every time you eat. It is a good idea to aim for three meals and two small snacks in a day. This will help prevent overeating. 2. Cut down on condiments like an extra layer of cheese, mayonnaise or some other sauce that adds to unnecessary calories. Cutting these out may actually help save on to the extra calories in the long run. 3. Drink enough water in order to stay hydrated. In fact, drink a glass of water before every meal in order to suppress hunger and make you feel satiated. You will end up eating lesser; as a result you will ingest lesser calories. 4. Eat slow. You don't have to rush during your meals. Chew your food many times so it becomes easier for the stomach to digest easily. Slow eating also helps prevent overeating. 5. Add more fruits and vegetables in your diet. They come packed with a lot of nutrients and fewer calories while helping you stay full for longer and avoid binge eating.